Eduard was born in Vilnius on December 1, 1988. Since he was a teenager he wanted to serve in the military. He became part of the special forces regiment in Vitsebsk. During his service he met a Young Front member from Homel, who became his inspiration to join Young Front. Eduard was elected as an executive of the Young Front of Minsk. He is still interested in all things military and dreams of the reformation of the Belarusian army. 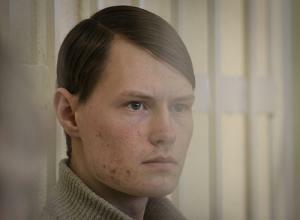 On December 18, 2010, together with the leader of Young Front, Zmitser Dashkevich, Eduard was arrested and charged under Article 339, Part 3 of the Criminal Code with “hooliganism.” During the time when Eduard was held in Zhodzina Detention Centre he refused to cooperate and denounce Young Front members. Consequently the authorities threatened to transfer Eduard to a cell where he would receive a rough treatment. On March 24, 2011, Maskousky District Court of Minsk sentenced Eduard to four years in a medium-security correctional facility.